Last week I Rocked the Drop! 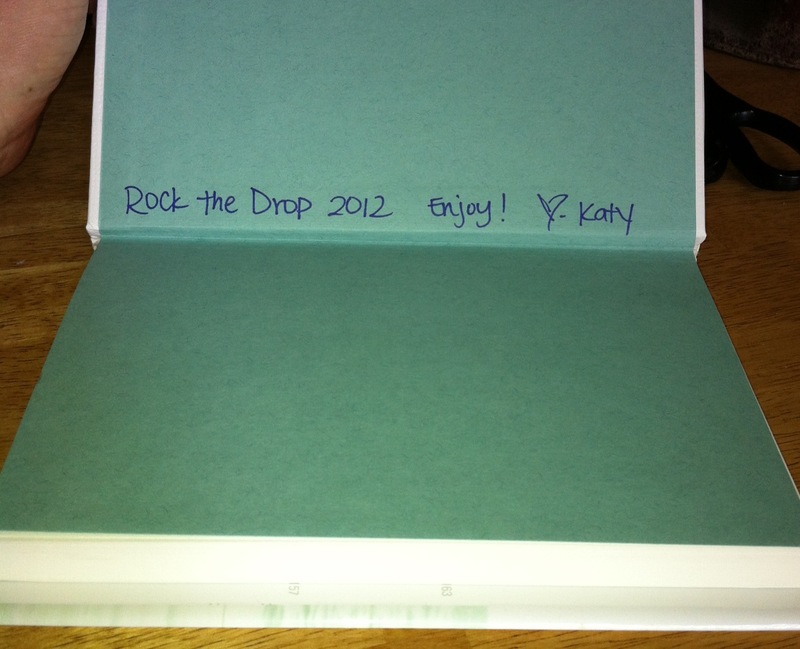 I’ve wanted to participate in Rock the Drop since I read a few of my blogging friends’ wrap-ups last year. Here’s the low down, in case you haven’t heard: Readergirlz and Figment united to ROCK THE DROP in honor of Support Teen Lit Day, which was Thursday, April 12th. All participants had to do was print a copy of the bookplate (seen in my sidebar) and insert it into a book (or 10! 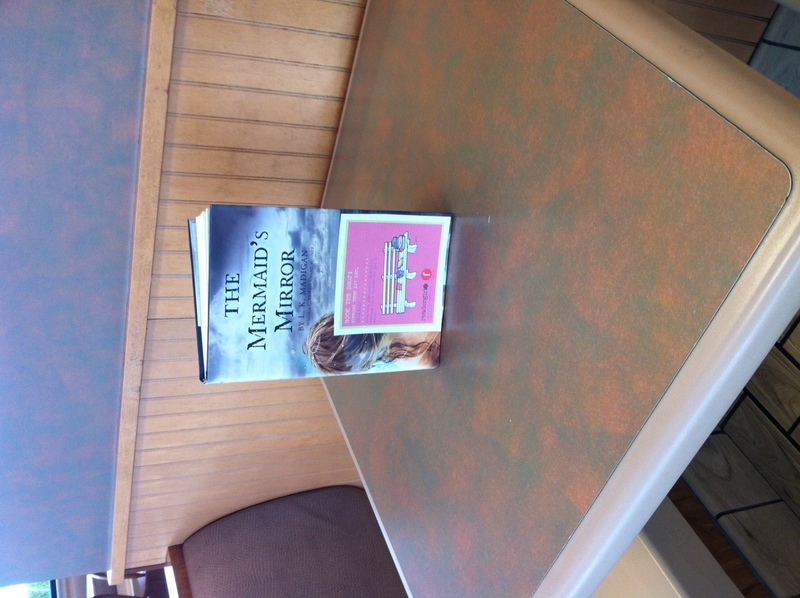 ), then drop said book(s) in public places (park bench, bus seat, restaurant counter, etc…) in communities everywhere. Lucky teens who happened upon the dropped books saw that their finds were part of ROCK THE DROP and scored new reading material. Such a cool idea, right?! Though my husband said I looked guilty, like I’d just dropped off explosives as I left each location, Rock the Drop was a success on my end, and lots of fun! 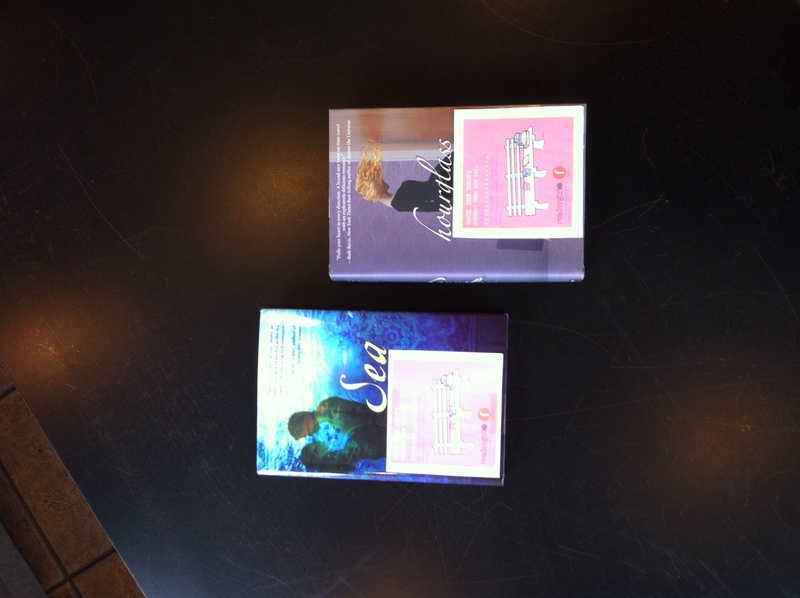 I sincerely hope that the books I dropped found happy homes with teens who enjoy reading them as I did. Did you Rock the Drop? Yes! I love the books you chose and the places you dropped them! This was a first time for me, and my daughter helped me (which was the BEST part). We dropped The Sky is Everywhere on a picnic table and Divergent on a shark’s tooth (at the local Wings store). Fun! Will definitely do it next year! Thanks for sharing your story, Katy! It does sound like great fun and a wonderful way to spread the love for books 😀 I haven´t read any of those books yet and I need to add The Mermaid´s Mirror to my TBR! I´m sure those books went to a happy home! Thanks for sharing, Katy! I’m already looking forward to participating again next year, Elodie. 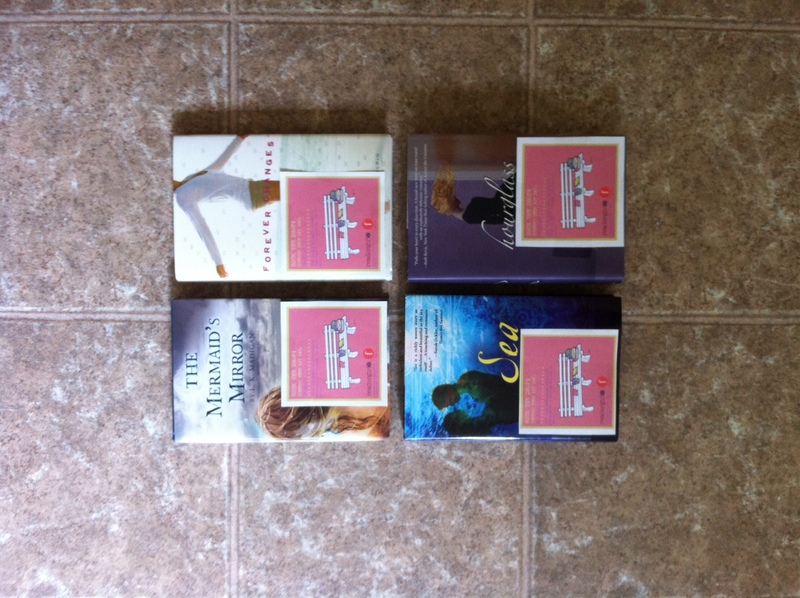 It was so much fun, and such a great way to spread the YA love! Thanks, Yahong! Rock the Drop really was fun, and such an awesome way to spread fantastic YA books throughout the community. You should definitely jump in next year! How are things, lady? How’s the writing going? I rocked the drop this year as well – wasn’t it so much fun! And that’s ha-larious about your husband – mine said something very similar, as I dropped off two of my books and slinked back to the car. I couldn’t help it – for some reason it felt like I should be inconspicuous…but I think all it did was make me look creepy! I’m definitely in again for next year – great post, Katy! Yeah, I felt like a bit of a creeper too, and I got my fair share of weird looks. 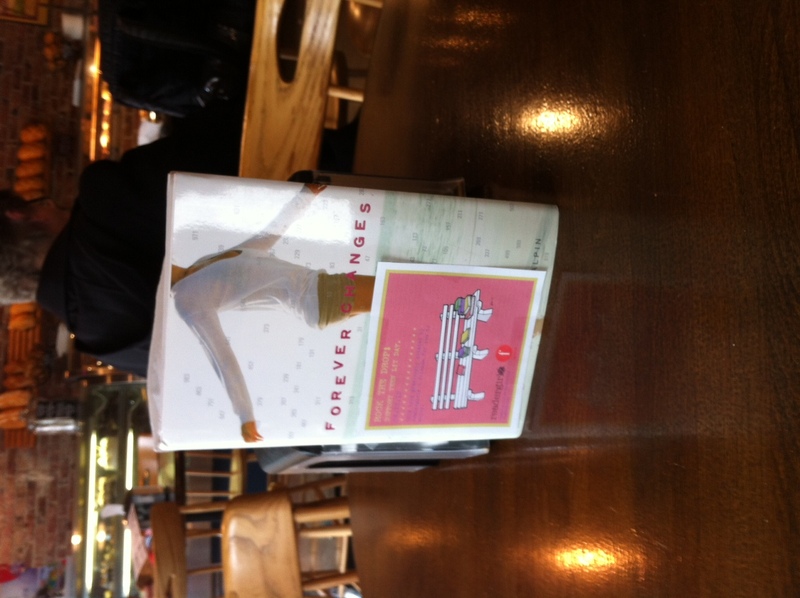 It was worth it though… I had fun, and I helped to spread the YA love! It looks like you had tons of fun. I know I did! 🙂 I totally felt (and probably looked) guilty leaving books behind like I was littering or something. How weird is that? I was also hoping that nobody would come running after me yelling “You forgot your book!” Haha 🙂 Overall, it was tons of fun and I’d definitely do it again. That’s what I did, Quita, just took a few gently read novels from my shelves that I know I won’t need to read again. It was fun to give them new life! Yes, it’ll be good to plan ahead for next. It’s a really fun event! Isn’t it? And it’s such a great cause! Yay for Rock The Drop! This was my third year participating and it is still so much fun to be sneaky and spread the book love. I’m glad so many people jumped on board this year! Me too! Hopefully even more people will Rock the Drop next year… It’s such a fun event and such a great cause!